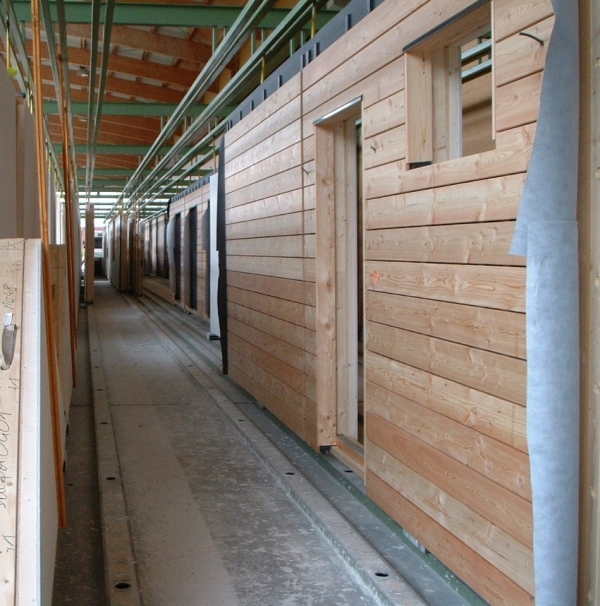 The process of construction has been modernized in some central European countries. Home building companies are able to design, build and erect homes for a fixed price and guaranteed performance. The construction systems vary, but all are manufactured in automated factories and assembled on site with in-house trained crews. 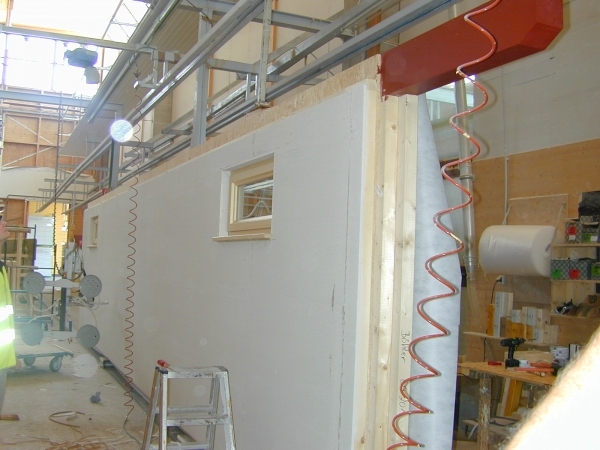 Many companies fabricate closed panel system for walls, floor and roof components including insulation, windows, siding, and services. 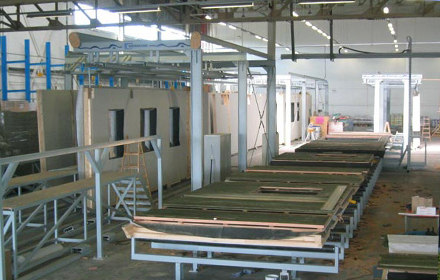 The panels are manufactured in dry controlled factory conditions, under precise engineered and quality controlled environments. 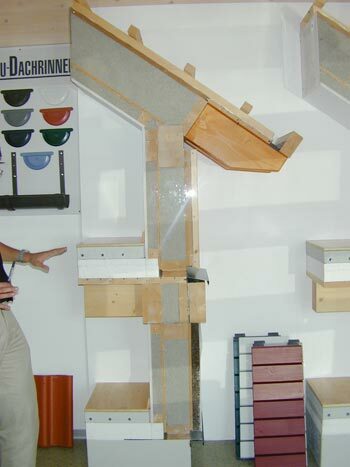 Wall and floor section in show room describe system. Plans are downloaded into computerized programs which control machinery at many stations throughout the construction process. 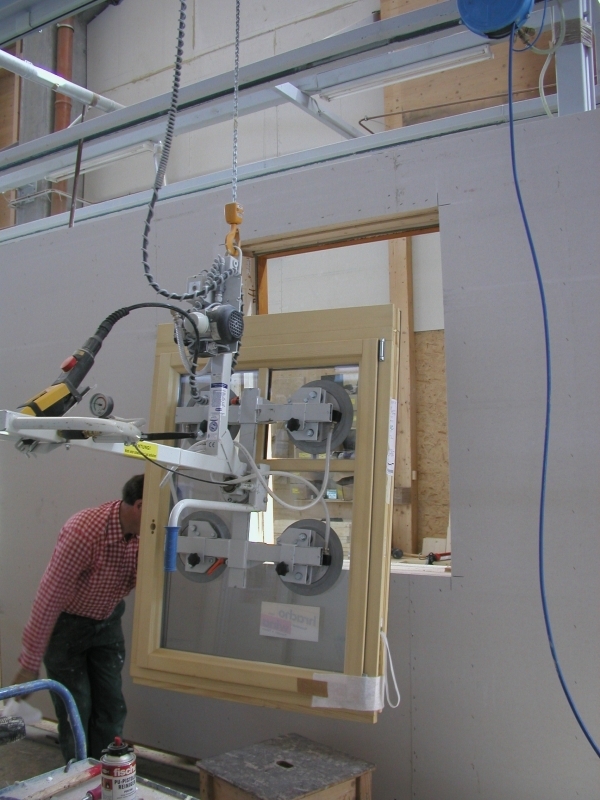 Components are turned vertically so that windows and siding can be applied in the factory. Completed walls are loaded onto trucks and delivered to the jobsite. For additional information and interest in investing into such a company, consultations on starting a new factory or improving the performance of an existing factory, contact us.